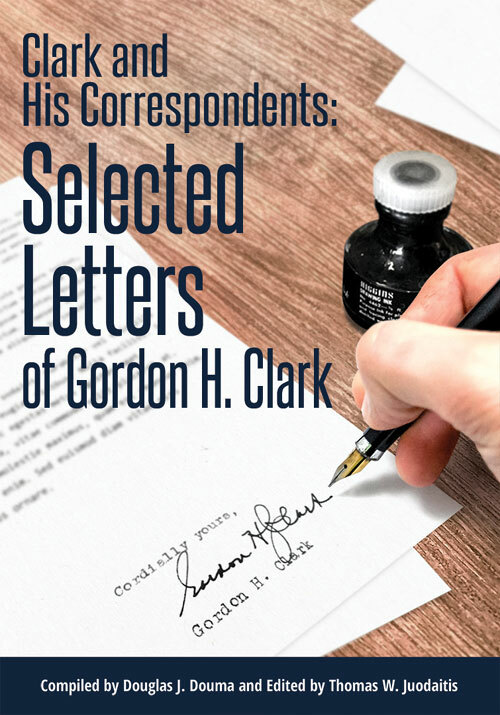 Clark and His Correspondents: Selected Letters of Gordon H. Clark makes a great companion to The Presbyterian Philosopher: The Authorized Biography of Gordon H. Clark by Douglas J. Douma. The letters in this selection will give the reader greater insight into the life and thought of America's greatest Christian philosopher of the twentieth century. Gordon Clark interacts with his correspondents though his letters to and from allies and opponents alike. Many of the leaders in the Reformed and Evangelical world of twentieth-century America corresponded with Dr. Clark, including J. Gresham Machen, J. Oliver Buswell, Jr., Cornelius Van Til, Carl F. H. Henry, and Edward J. Carnell. Clark also corresponded with students, pastors, family, and even unbelieving intellectuals. Throughout his letters, Clark demonstrated his love for Christ and his Word, his encouragement and / or concern for the souls of his correspondents, and his defense of the Word of God against all other opposing philosophies.